﻿ Frequently Asked Questions｜SHOWA TOOL CO., LTD. I bought it thought that it was a center-through specification, but the coolant will leak from the collet's gap. 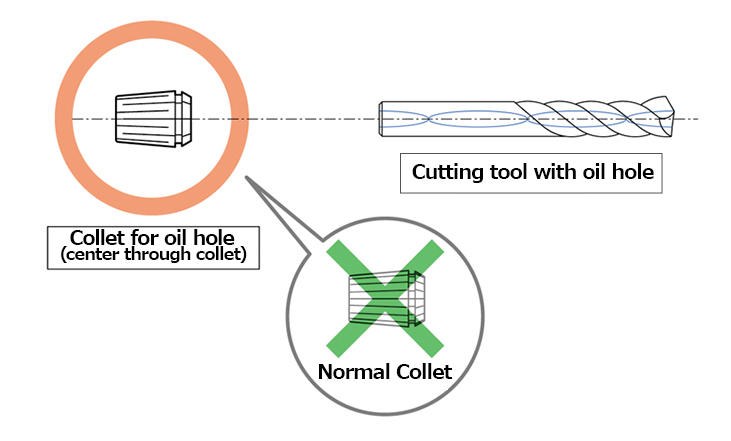 Simple use for oil hole (center through collet) may not be used. 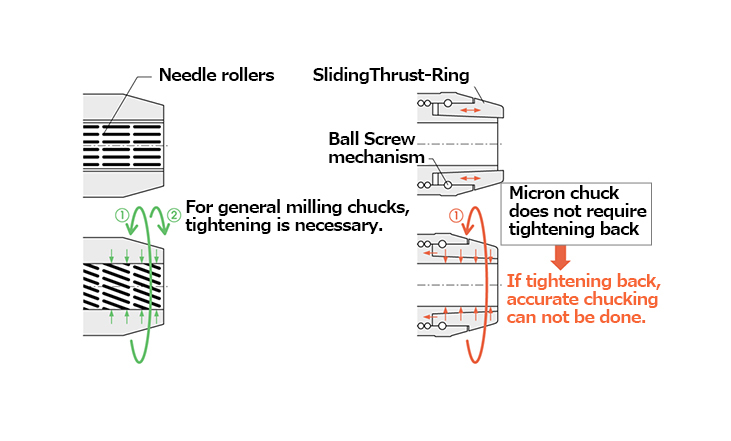 It is not possible to retract the straight collet when tightening the micron chuck. It may be that you are using a thing of another company that has a big brim at the tip of the straight collet. The cutler will come off during milling. 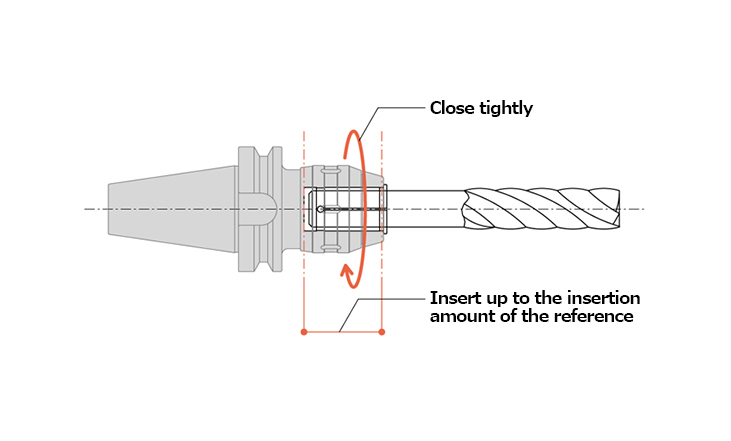 It is possible that the holder (collet) is not completely closed, or the cutter has not been put in the standard insertion amount. 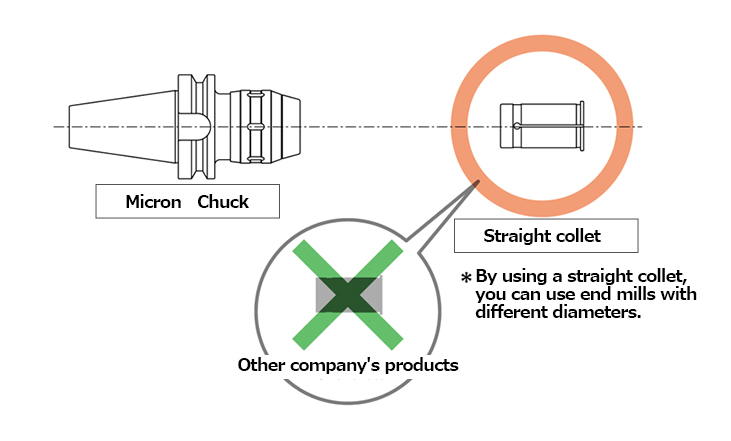 No matter how many times you chuck with micron chuck accuracy (0.002mm guaranteed with AA type), accuracy is not good. There is a possibility that you are doing "tightening back" after tightening the thrust ring completely to the end.